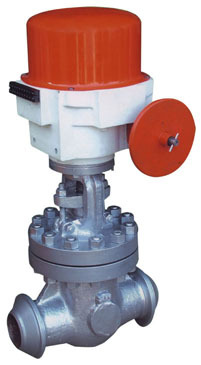 Flosteer Gate Valves are Rising Spindle, Outside Screw & Yoke Type construction. Flosteer Gate valves are provided with smooth machined full bore and full opening of wedge eliminates additional pressure drop across the valve. Solid wedge, Flexible wedge, Split wedge, and Parallel wedge designs offer maximum flexibility and option to clients for their suitable selection. Specially designed seat and gland packing materials are provided for superheated steam and high temperature Thermic fluid to trouble free service, easy operation and longer life. Deep stuffing box is providing to assure tightness and maximum packing life. A separate properly machined and lapped back seat facilities are provided for replacement of Gland packing when valve is in stream under pressure. Stellited trims are provided for all above 600# as a manufacturing standard of “FLOSTEER” valves and in lower rating also on request. 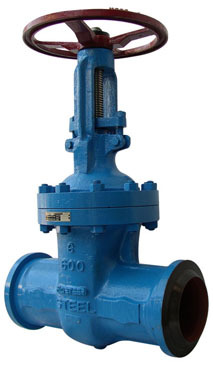 Flosteer also offer extra long, extended bonnet Gate valve for low temperature and cryogenic services. Antifriction thrust bearing is provided in yoke sleeve for higher sizes and classes. 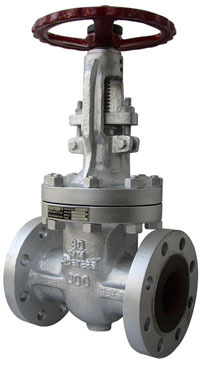 FLOSTEER Gate valves are available under any Third party inspection including IBR (Indian Boiler Regulation). Flosteer Gate Valves are also available with Gear, Pneumatic Cylinder, Electrical Actuator operated along with accessories like Solenoid, Limit Switch, Air Filter Regulator etc. Size Range 1" To 24"
Gasket CAF/Grafoil/S.S. Spiral Wound With CAF/Grafoil/P.T.F.E.